I intend to put a magneto on my G3 project and I picked up what looks like a front mounting plate. 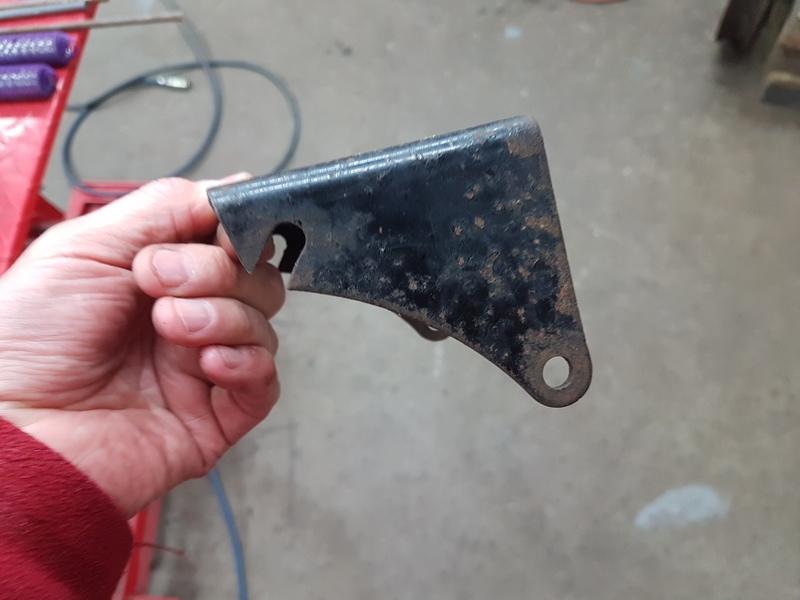 The profile is similar to the front engine plates and the top looks like a mag will bolt on but the overall width is about an inch wider than the front engine plates. My question is: Is this a Heavyweight Single front mag mount? If so I assume that there are some spacers and longer studs required? Also, does anyone have a picture of the front mount on an existing bike so I can see how it fits? My singles all have a separate platform from the triangular front engine plates you have already fitted. It then sits attached by the top two studs which are longer than yours and held in place by spacers. 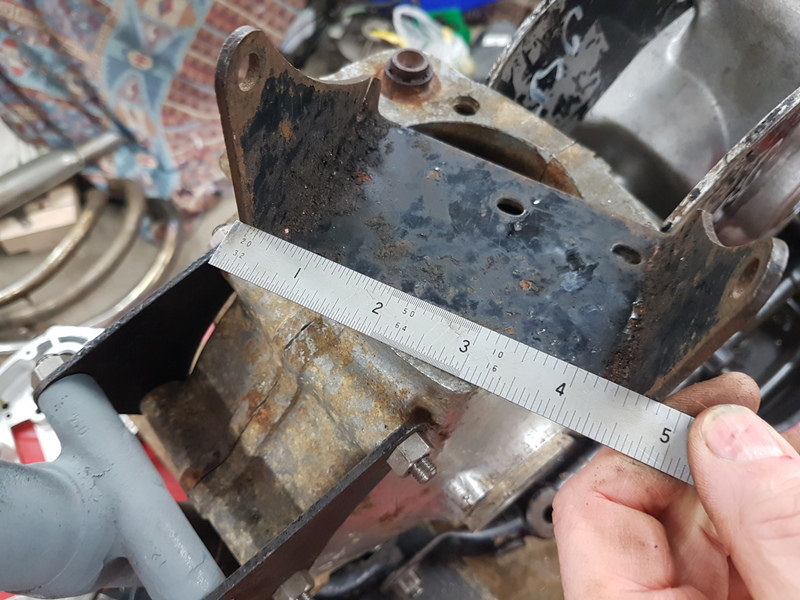 I would say the correct plate is more than an inch wider than the crankcase. So no I do not think this is the correct mag platform. Its a pre war single platform c1937. Hi Clive, thanks for the information. The studs that I have are some that I made as I didn't have any studs. I left them (at least I thought I had at the time) a bit too long so that I could adjust the length later but in hindsight and in light of your comments perhaps they are too short although its not a big deal to make some more along with some spacers. However your other comment regarding the width of the mount is interesting. The outside width of the engine plates is 3 3/4" = 3 1/2" for the engine plus 2 x 1/8" for the front mounts. The mag platform that I have is 4 3/4" wide so exactly 1 inch wider. If it needs to be wider then I could cut it in half and weld a piece in to make it the correct width. Does anyone know the correct width? Duncan wrote: Its a pre war single platform c1937. Ah, thanks Duncan. In that case I wont cut it in half but instead let it go to someone who needs a pre-war one and keep looking for the right one. 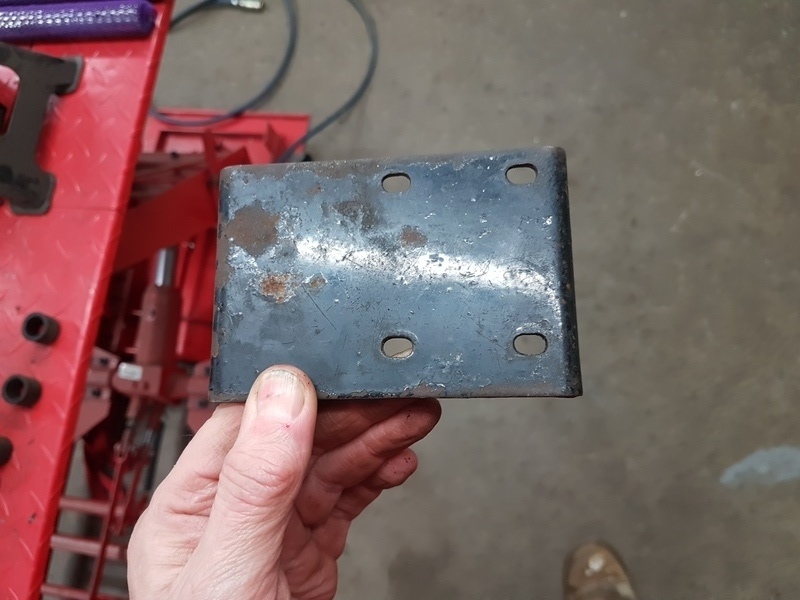 George, if you can resist the temptation to modify an original part I will have a look in my shed at the weekend to see if I have a spare one of the correct type you can have, I know I have some behind the cylinder ones bit think I have some in front ones as well. Edit: Your reply beat mine, I will still have a look for you. Last edited by Duncan on Tue Feb 12, 2019 9:55 pm, edited 2 times in total. The platform is drilled to carry a mag, so I if prewar would be AJS ? a new platform came in 1937, changed again in 1939 the appears to change again in 1946. I could check measurements on 1935 36 and 38, if you want to try an ID it. In the meantime you may like to state the year of your G3, so some one could measure their's for you. Perhaps your bike is not a G3? prewar G3 had mag at the back. I'm sure post war G3 was coil. Maybe you have a G3L G3LS or another G3 model type. Rob Harknett wrote: The platform is drilled to carry a mag, so I if prewar would be AJS ? a new platform came in 1937, changed again in 1939 the appears to change again in 1946. I could check measurements on 1935 36 and 38, if you want to try an ID it. In the meantime you may like to state the year of your G3, so some one could measure their's for you. Perhaps your bike is not a G3? prewar G3 had mag at the back. I'm sure post war G3 was coil. Maybe you have a G3L G3LS or another G3 model type. Thanks for the information. I am pretty sure that you are correct that it is an AJS part because, as you say, the AJS had the mag at the front. My bike is a bitsa, the chassis is 1958 G3LS so when I come to get a dating certificate and V5 that will be what will be written on it. However I am using an earlier engine (because thats what I have) which doesnt have the extended crank axle for the altenator so I will be using a magneto. I therefore have a choice of where to mount it, front or back. I have decided on a front mounting hence my question. I picked the mag platform up with a few other parts but now that I know that its a pre-war one I know that I dont need it and I wont be modifying it. AJS would surely be the most common of mag platforms, used by AJS during many years Matchless had the mag at the rear. I would need to compare dimensions to suggest what you have being pre or post war.